Ragnarok Online Wallpaper: Ragna Girls Paint Job! Minitokyo »	Ragnarok Online Wallpapers » Ragnarok Online Wallpaper: Ragna Girls Paint Job! This is the only thing i could make with paint (i dont have photoshop nor any other software for that matter) and a few wallpapers, hope you like guys like it. 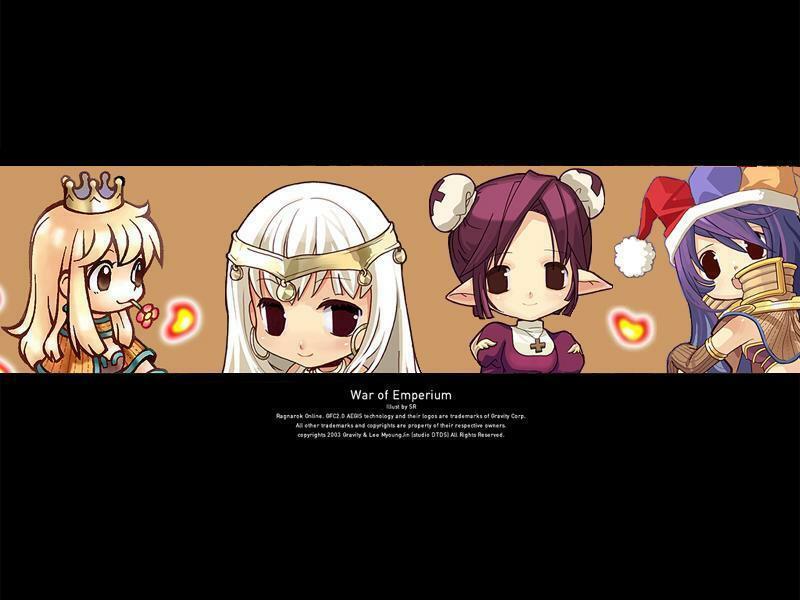 Browse Ragnarok Online Gallery: Recent | Popular. puhahaha! SO CUTE TO THE MAX! CUTE!!! VERY CUTE AND SWEET! Figure it cute. Thanks for sharing.